Creating a first album must be a daunting task for any fledgling act. A strong debut should satisfy both longtime fans (often local supporters who have witnessed a band’s early struggles and triumphs) while also drawing in new listeners. 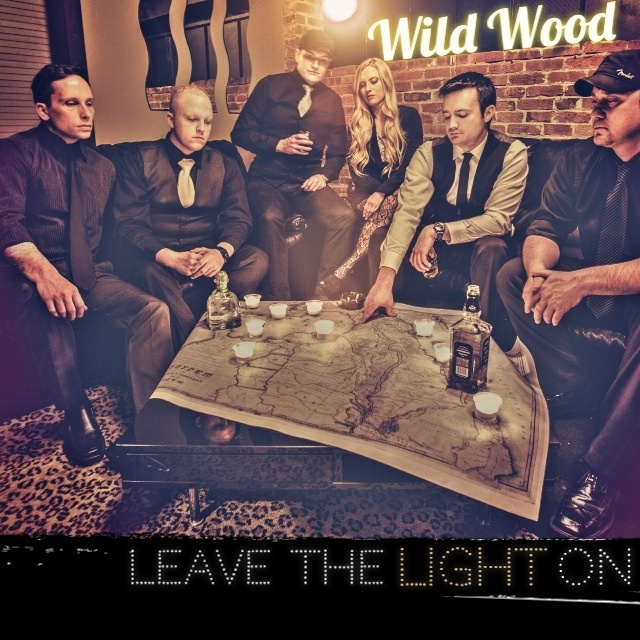 For country-pop band WildWood the release of its engaging record Leave the Light On should feel particularly exhilarating. Not only is the group expanding its audience without the guidance of a manager or label, but Leave the Light On is a genuinely winning introduction to a group that displays the same passion that fans demand from more established acts. The songs on the album are relatable without pandering, built around appealing melodies and straight-shooting lyrics. Instead of chasing trends, WildWood focuses on simple storytelling. While its members boast several years of experience playing music, WildWood only formed in February of 2014. Nonetheless, the Kentucky-based group’s fusion of soulful country and electrifying, blues-tinged rock feels familiar, yet exciting. Displaying sensuality, vulnerability, and pride, lead vocalist Kevin Cummings often shares center stage with Stacey Lynn King, who adds powerful, crystalline harmonies to the mix. Sean Shelton (lead guitar), John Hager (rhythm guitar and backing vocals), Scott Edelen (bass), and Jake Badger (drums) round out the sextet, performing with verve and ease as they provide a sturdy base for Cummings and King’s impeccable blend. First single “Selfish” is decidedly more upbeat, a groovy uptempo about a couple wrapped up in their own private cocoon. However, heartache is country music’s bread and butter. Therefore, it’s not surprising that two plaintive numbers are among the album’s biggest highlights. Reflective weeper “Seven Easy Ways” revolves around a man trying to bridge the emotional barriers that separate him from the woman he loves. Concealing her feelings beneath a carefully constructed facade, she refuses to let him into her heart. “We both know where this ends and no one wins/And I’m tired of keeping score,” the narrator notes wearily in the quiet tearjerker. “Sorry Don’t Mean A Thing” is arguably one of the best performances on the record. Grounded by mournful instrumentation, Cummings and King give voice to a couple whose marriage is on the verge of ending. Completely selling the duet through their skillful phrasing, their strong interplay ably captures all the tension associated with a relationship that’s on the rocks. As long as WildWood maintains its focus, the group will continue to shine.